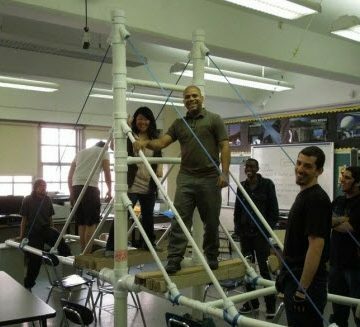 Students in the Civil Engineering Club at City Poly Technic High School in Brooklyn, NY, celebrate the success of their large scale cable-stayed bridge project. At their first Civil Engineering Club meeting this September, teams of students at Pearl City High School and Roosevelt High School, both in Hawaii, were challenged to see which group could construct the tallest structure using spaghetti strands in 18 minutes, while holding the weight of a large marshmallow. Aside from learning teamwork, Jon M. Young, P.E., LEED AP, M.ASCE, the Civil Engineering Club coordinator for Hawaii, says the activities taught the students how to test the strength and stiffness of material and ways to make a structure more stable. “I think the students are always having fun when they are doing something rather than having to sit and listen to a lecture,” says Young, who when not running a Civil Engineering Club serves as executive director of the Hawaii Asphalt Paving Industry. “So anytime you have the students doing an activity like building a marshmallow tower, they enjoy it. Last year, as part of ASCE’s Civil Engineering (CE) Club Pilot Test Program, Young organized two CE clubs. 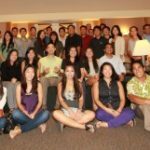 Due to its overwhelming success with students, Young has expanded the number of CE Clubs in Hawaii from 2 to 4. And while Young organized both CE Clubs last year, this year he has been able to recruit at least one – and in some cases two – individual lead engineers for each of the 4 high schools. Aside from Hawaii, individual CE Clubs were formed last year in Florida, Maryland, New Hampshire, New Mexico, New York, Pennsylvania, Tennessee, Texas, and Utah. 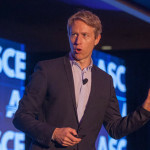 The ASCE’s CE Club Pilot Test Program was established to find out whether the sustained relationships with engineer mentors engaging and interacting with high school students through after-school hands-on activities would attract students to consider a future career in civil engineering. Individual engineers interested in starting a CE Club and participating in the pilot year were provided with a CE Club Guide, which included information to how to start a club, recruit volunteers, and establish a school partnership, and activity ideas such as bridge module, speaker ideas, field trips, and community service projects. They also received promotional materials such as membership cards and club certificates; giveaways such as backpacks, mini engineer scales, and pencils; books and magazines such as the latest issue of Civil Engineering magazine; and posters. The CE Club program was established by the ASCE Committee on Pre-College Outreach as part of its effort to expand outreach to college-bound high school students and encourage them to consider engineering as a possible career. 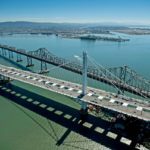 “The CE Clubs have been an overwhelming success and [have] exceeded our expectations,” says Melissa Wu, P.E., M.ASCE, chair of ASCE’s Committee on Pre-College Outreach. “The results [from the audit] clearly documented that the CE pilot clubs that we had this past year had a really positive impact on students; they understood what civil engineering is and what civil engineers do, and it gave them clear and positive insights into important skills like teamwork, management, and leadership. Wu says that one of goals achieved by the CE Clubs was providing a personally and professionally rewarding experience for the volunteer engineers who served as lead engineers for the students. All the volunteer engineer leaders responded that they would recommend the CE Club to their colleagues, and most planned to participate again or, like Young, expand their clubs this year. Among the feedback received from CE Club participants were the following: The club taught students about the civil and engineering design process; the CE Club strengthened the student’s engineering and project management skills; the CE Club helped encourage students to imagine themselves as future civil engineers; and students were impressed with their engineering mentors, their hands-on activities, and field trips. “This is actually my sixth year as a teacher, and we’ve done robotics, we’ve done the astronaut challenge, we’ve done civil air patrol, and we’ve done a number of things here, but at least for those kids who are interested in being engineers, there has never been anything that they jumped into and got involved in like the CE Club,” says George Bartuska, A.M.ASCE, an Earth Science teacher at Kathleen High School in Lakeland, Florida, and lead engineer for the local CE Club. Another key factor which Young and Bartuska say added to the success of their CE Clubs was its flexibility in the development of the club activities. “The CE Club Guide was meant to be flexible and a resource for folks who want to use it,” says Wu. “Because one thing that we wanted to emphasize in our first year of the pilot test was that flexibility is key for the volunteers, the students, and the schools. With the pilot test project a success, Wu says that the CE Clubs are now a regular ASCE outreach resource for membership. As of November there will be 14 CE Clubs. “We’ve got four new clubs up and running this year and many returning clubs from last year,” concluded Wu. “We’re moving forward and developing additional modules. Right now we have a bridge module, and new this year we have a water module. Plus we are working on developing a transportation module, so we are going to continue to expand those activities and resources for clubs to use. We’ll have one of our pre-college outreach staff members reach out to you. Thanks for getting in touch! I am a teacher and would love more information.